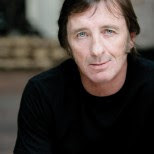 Who was Dave Evans ? 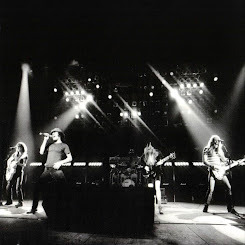 In the beginning AC/DC was going around to local nightclubs for gigs like anyother new rockband would to get their name out there. 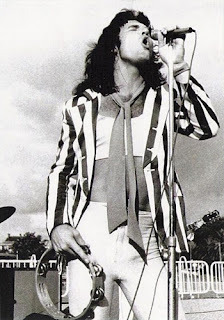 Their first gig was at Chequers Nightclub in Sydney on New Years Eve 1973 and the band went on to attract a strong live following in the next few months before recording their first single - "Can I Sit Next To You Girl?" 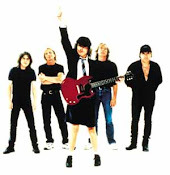 and "Rocking In The Parlour"
At this time Angus started wearing his now famous schoolboy uniform and with their single racing up the national charts AC/DC undertook a gruelling tour beginning at the Sydney Opera House and then playing to packed houses all around Australia. 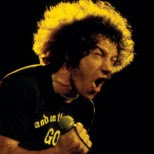 Life on the road is tough for any band and frictions and egos increased steadily until a punch-up between Evans and their manager made life on tour unbearable - and a split between Evans and AC/DC became inevitable. 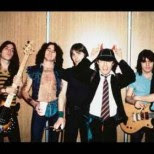 Bon Scott was a friend of Malcolm and Angus. 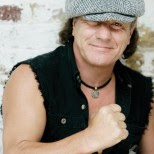 He agreed to join AC/DC, by this stage one of the most promising and exciting rock bands in Australia, and he and the band went on to rock 'n' roll immortality as one of the biggest bands in the world. Did you know about Dave Evens before today? 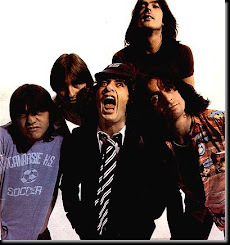 AC/DC got their name from the Young's sister Margaret suggested something she'd seen on the back of a vacuum cleaner: 'AC/DC'. 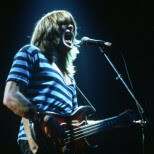 According to Angus, "It had something to do with electricity, so it seemed to fit. 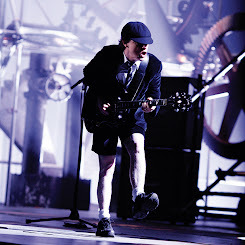 What was with that school boy outfit? 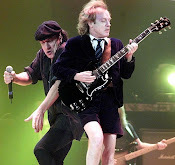 well Angus and Malcolm wanted to have a visual focal point to go along with their music, and their sister Margaret suggested Angus wear the schoolboy getup. 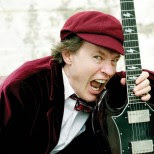 It was something Angus had tried in one of his previous bands, but only once. 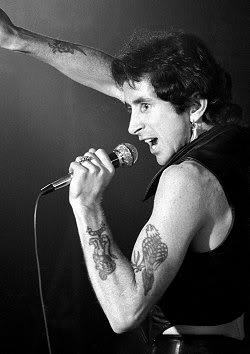 Bon Scott died On 20 February 1980, after a night of heavy drinking, he was left unconscious in a friend's car, and was later found to be dead, having choked on his own vomit. The coroner recorded a verdict of death by misadventure. DID THESE FACTS HELP ANSWER ANY REMAINING QUESTIONS? 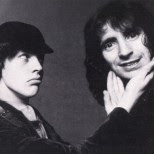 Bon Scott saw Brian Johnson singing for another band in a pub, and was so impressed by his vocals, when he met back up with AC/DC he told them to get Johnson if anything should ever happen to him. 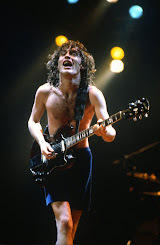 After Bon's death, Angus Young called Johnson up and offered him the position of lead vocalist. Johnson told him where he could put it and hung up (he thought someone was pranking him). Eventually, of course, it worked out. Do you think it worked out for the better or worse? 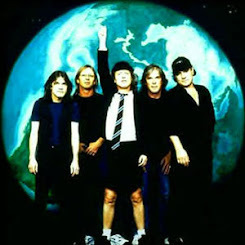 "Back in Black" was the major turning point for AC/DC, Brian Johnson wrote the song in the Bahamas. A typhoon was headed their way, and the rest of the band locked him in the bungalo with only 3 pages of blank paper, a pencil, and a candle. 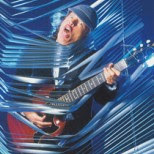 He was shaking and nervous becuase he wanted to impress his new band, but he managed "im rollin' thunder pourin' rain, im comin' on like a hurricane....", thus the typhoon. 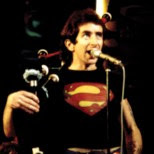 This was also in memory of Bon Scott, who died about a month earlier. 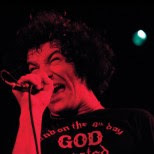 Listen to the videos in my music vault. Can you hear the difference between the two artists? 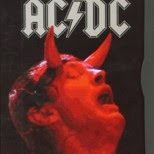 Highway to Hell. The song was released as a single the same year. 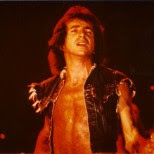 Back in Black was released 5 months after lead singer Bon Scott died. The song is a tribute to Scott, and the lyrics, "Forget the hearse 'cause I never die" imply that he will live on forever through his music. 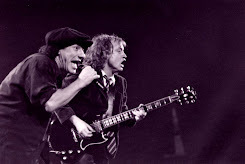 With Brian Johnson on lead vocals, the Back In Black album proved that AC/DC could indeed carry on without Scott. 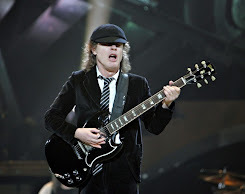 This song is on their 2000 album "Stiff upper Lip" and it is composed by Angus and Malcolm Young The song was released as a single, and topped the Billboard chart. 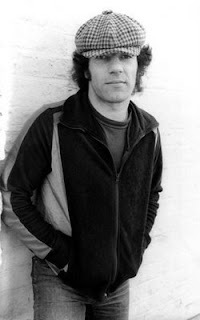 It also was performed on Saturday Night Live on March 18, 2000. Even Russia can't get enough! 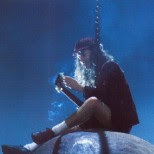 This video was shot and preformed at the monsters of rock show in Moscow, Russia in 1991. Why they are so great ? 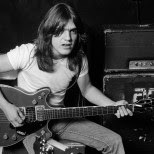 I picked not only one of the greatest rock bands of all time but one that sound has never been duplicated mainly because I think Angus and Malcolm Young wrote very distinctive guitar riffs. 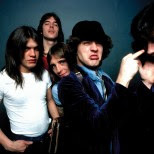 If you do your research you can simply find that in the late 1970s and early 1980s a lot of other bands were "trying to sound" like AC / DC, the Swiss band Krokus, for instance, comes immediately to mind. 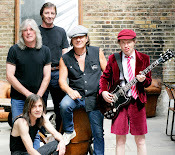 Yet, despite the many posers, you could always tell when it was and when it wasn't the real AC / DC. 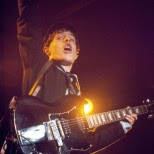 I mean every time you hear "thunderstuck" on the radio you know what song it is in under 2 seconds. Am I right? 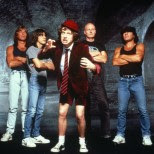 What is your favorite AC/DC album? James Fetes. Travel theme. Powered by Blogger.